Felbrigg Hall, Garden and Park01263 837444work Historic HouseA welcoming home, Felbrigg is a place of many contrasts that reveals itself slowly. The estate is a timeless place of sanctuary and tranquillity; you relax as you come up the drive. The size of the parkland belies the intimacy of the hall and walled garden, the richness of Felbrigg surprises and delights with many hidden treasures to explore. Cherished for its homeliness and charm, Felbrigg reflects the personal stories of four families and their warmth and fondness for the estate. The squire was the last family member to live at Felbrigg. A noted historian, his book Felbrigg, the story of a house is rich with information about the hall, grounds and the families who made Felbrigg their home. He is the lens through which the family stories and their changes of fortune are told as he wrote about the many characters that preceded him. Using his insight into the past we can evoke the family feel of the estate and the connections with the local community. He had a great love of books and trees but his real interest was in people and their lives. The renowned ancient woodland shelters the estate from the north winds; and the open pasture land and lake are a haven for plants and wildlife. The stunning views across the open Norfolk landscape; where big skies frame perfect sunsets, showcase the vibrant colours of nature which change dramatically with the seasons. The walled garden and orchard are dominated by the working dovecote. Doves fly and chickens scratch around the garden adding to the relaxing and tranquil atmosphere. Ever changing, the garden is a constant source of inspiration and delight. The house is mostly intact apart from a room blown up by a fireworks experiment the 18th century. The large collection is original to the families who made Felbrigg their home, creating layers of a very personal history and giving it a ‘lived in’, comfortable feel. The Victory V, a personal war memorial planted by the last squire in memory of his brother killed in Crete in 1941, accentuates the important sense of unity created between family and estate over the centuries. A welcoming home, Felbrigg is a place of many contrasts that reveals itself slowly. The estate is a timeless place of sanctuary and tranquillity; you relax as you come up the drive. The size of the parkland belies the intimacy of the hall and walled garden, the richness of Felbrigg surprises and delights with many hidden treasures to explore. Cherished for its homeliness and charm, Felbrigg reflects the personal stories of four families and their warmth and fondness for the estate. 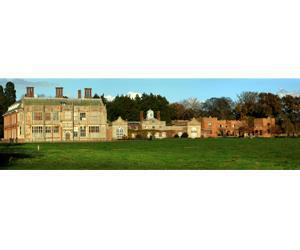 Felbrigg continues today as a much cherished country retreat.